This an interesting coincidence of a flag. 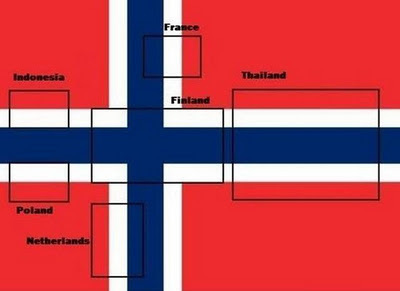 In Norway flag, there are flags of five other countries namely Indonesia, Poland, Netherlands, France, Thailand, and Finland. No wonder Norway is a really great country socially and economically. 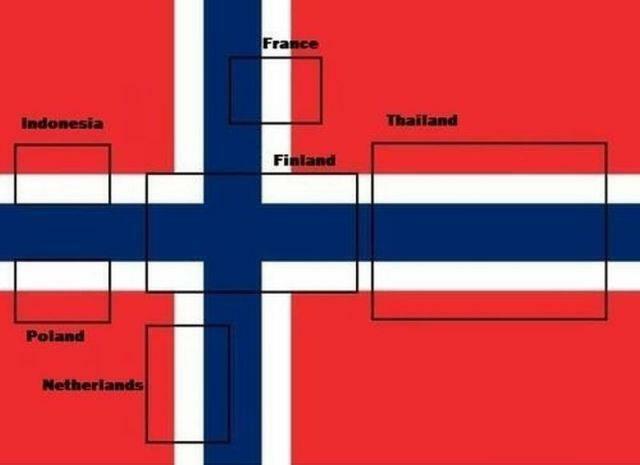 There are the spirit of five other nations combined to create one country called Norway.